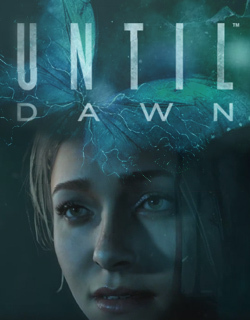 UNTIL DAWN is an upcoming teen-slasher horror video game for Sony PS4, co-written by myself and Larry Fessenden with Supermassive Games, announced on Tuesday at Gamescom. There’s a trailer and writeup from executive producer Pete Samuels, on the Playstation Blog. The player will be in control of eight teenage friends whose remote mountain getaway turns into a night of unexpected terror. Part of the interactive fun will be the Butterfly Effect mechanic: decisions you make along the way, big or small, have rippling implications in the story, resulting in hundreds of different narrative experiences. Any of the characters could survive, any could die. The cast features Hayden Panettiere (Heroes, Nashville), Rami Malek (Short Term 12) and Brett Dalton (Marvel’s Agents of S.H.I.E.L.D.). Some great press reaction so far: Kotaku, IGN, Gameinformer, Gamespot. More to come soon!